An inmate at the Jefferson County Jail in Colorado is being accused of stealing a cell phone from a fellow prisoner to use it to go on Facebook Live this week. 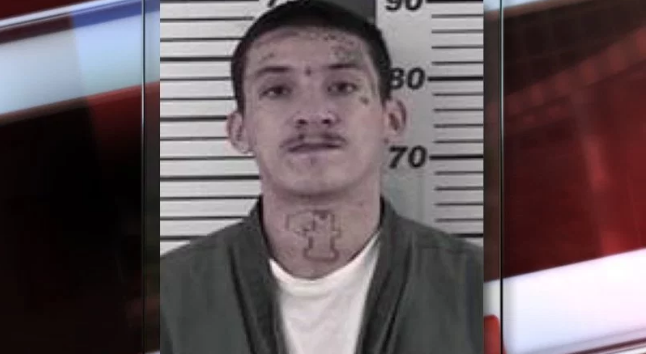 The erring inmate was identified as 22-year-old Joseph Thomas Chavez. Chavez allegedly stole the phone during the booking process (along with the lighter and cigarettes ) from another inmate. Chavez went to stream on Facebook Live from jail on Thursday at around 8 p.m. While Chavez was stripped-search during the booking process, he was able to slyly reach into another inmate’s bag to steal the phone, lighter and cigarettes. Inmates’ personal belongings are placed in property bags until they are released from prison. Deputies at the Jefferson County Jail only learned about what was going on with Chavez going on Facebook Live from jail when someone who saw it online called them and made an anonymous tip regarding Chavez’s forbidden social media activity at that time. Jenny Fulton, the spokesperson for the sheriff’s office, said inmates are not allowed to have cell phones, cigarettes, or lighters in jail as these items are all considered contraband. The sheriff’s office spokesperson was quick to clarify, however, that no employee from jail has been accused or suspected of wrongdoing in this case. Chavez was previously staying in Sterling Correctional Facility but had to be transferred to the jail on Thursday afternoon because he is set to make an appearance in Jefferson County Court on Monday on a criminal trespassing in a motor vehicle charge. Because of what he did, Chavez will now face additional charges of theft and introduction of contraband in jail.